Looking for a Keto Hot Chocolate Recipe? How about one that’s homemade, easy to make from a mix, dairy free, Paleo, refined sugar free, chockfull of superfoods, and yet extra thick and creamy and delicious? Healthy hot chocolate to the rescue! 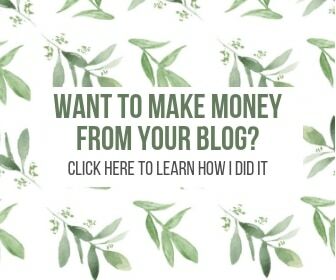 UPDATE: This post was originally published in February 2018. 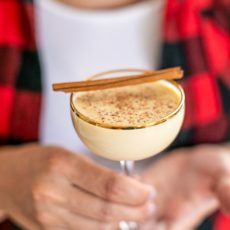 Thanksgiving is exactly 2 weeks away and if you’re looking for something sweet yet healthy to sip on, I’ve got just the thing. Let me introduce to the most delicious hot chocolate recipe you’ll ever taste. Seriously. This hot chocolate is thick, it’s creamy, it’s rich and decadent, it’s the perfect balance of sweet and bitter (like any chocolate recipe should be) and it’s so easy to make thanks to the best hot cocoa mix ever (we’ll get to that in a minute). This hot chocolate is Keto** (only 6 carbs per serving, plus TONS of healthy fats! 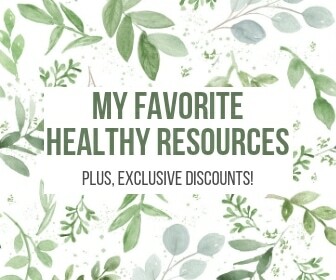 ), it’s Paleo, it’s dairy-free, refined sugar-free, and it’s bursting with superfoods, nutrients, antioxidants and more to nourish your body and soul. **Note: the cacao mix I used does contain 2 grams of Organic Coconut Palm Sugar (a mineral-rich, unrefined, natural sweetener), which technically makes this recipe NOT Keto. That said, it’s still chockfull of nutrients and super healthy! If you’re strictly Keto, I’d recommend swapping the cacao mix out for a sugar-free option, like Lakanto Drinking Chocolate or Kiss My Keto Keto Cocoa. 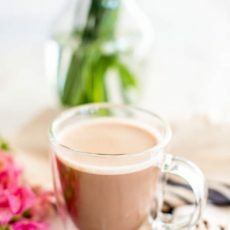 To make this Keto hot chocolate recipe, you just need 5 ingredients and a blender (I recommend Vitamix, which you can get on Amazon here or buy direct here). Four Sigmatic Mushroom Hot Cacao Mix: I know, it sounds weird. Mushroom in chocolate? 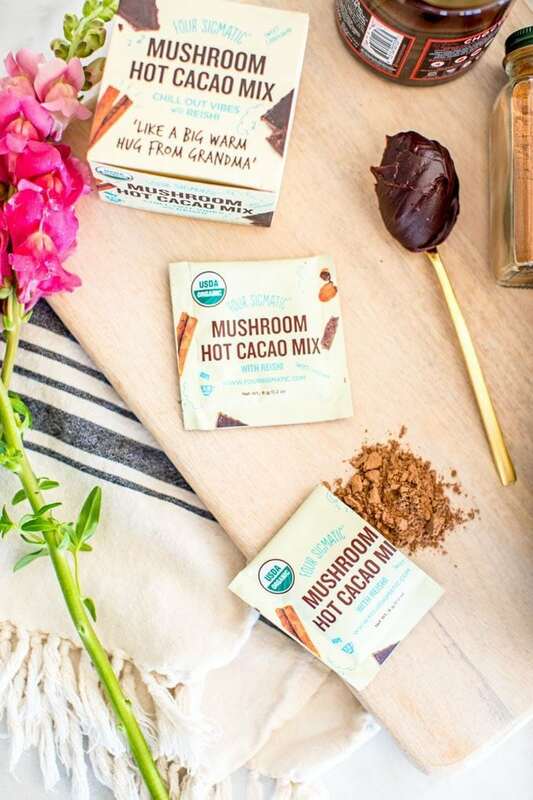 But here’s the deal–not only can you not taste the mushrooms, but these organic mushrooms (in this case, it’s Reishi) are adaptogens, which support stress and restful sleep. Coupled with antioxidant-rich cacao powder (so much better for you than processed cocoa powder!) and organic, unrefined sweeteners and spices, this hot cocoa mix may just be the cleanest, healthiest brand on the market. Buy it direct to save 10% off with the coupon code “rootandrevel” (or you can buy on Amazon). 4th & Heart Chocolate Coffee Ghee: Remember how I put butter (or ghee, rather) in my coffee? And remember how this dairy-free scoop of creamy goodness lowers cholesterol and high blood pressure, reduces inflammation, actually lowers body fat, acts as a detoxifier, improves colon health, and supports healthy insulin levels? Yeah, that’s why I add ghee to this hot chocolate recipe, too. This time, I opt for a chocolate flavored ghee with hints of coffee, which brings out the chocolate-y taste even more! It’s made from cacao, dates, and Madagascar vanilla bean for balance. SO good! 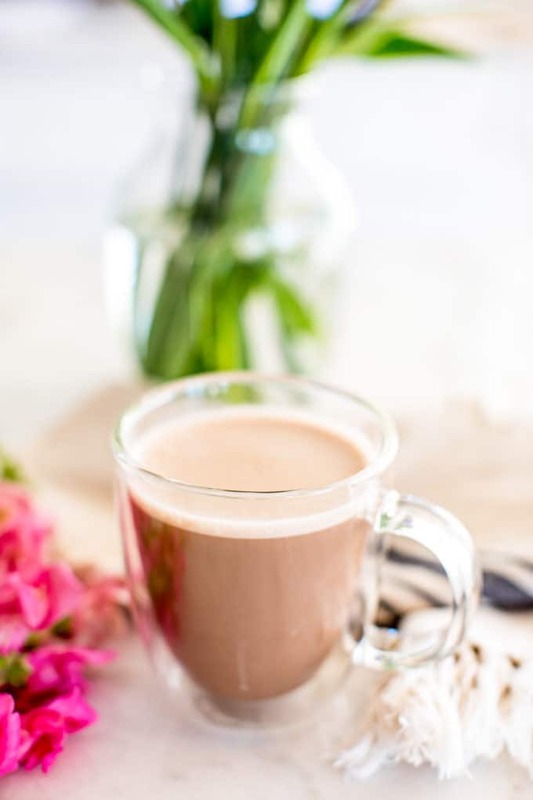 Califia Farms Toasted Coconut Almond Milk: To add some extra thick creaminess to this hot chocolate recipe, I decided to go for dairy-free coconut almond milk. 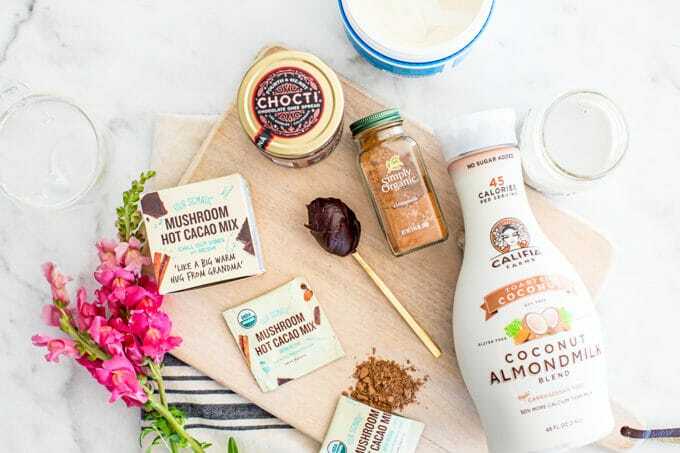 This particular brand is carrageenan-free, non-GMO, and BPA-free, which can be difficult to find in a store-bought almond milk. Did I mention it’s also sugar free and contains 50% more calcium than milk? I just pour it into a mug and microwave for 90 seconds to warm it up. So easy! 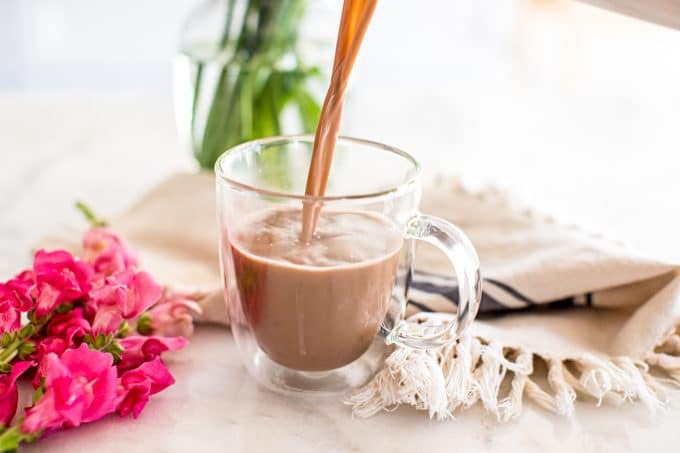 Vital Proteins Collagen Peptides: Just like my butter coffee recipe, I also add collagen to this hot chocolate recipe. Why? 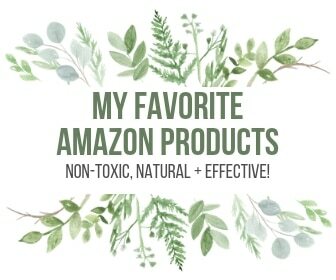 Because collagen adds a healthy dose of grass-fed protein AND improves your skin’s appearance, reduces joint pain, helps break down proteins and soothes your gut’s lining (AMAZING for anyone with digestion issues), increases your metabolism, strengthens teeth, nails and hair, helps your body detox AND reduces the appearance of cellulite. Need I say more? Buy it direct or you can buy it on Amazon. 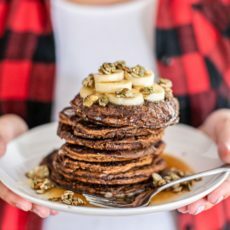 Simply Organic Cinnamon: To add a hint of sweetness and spice without any refined sugar, I rely on cinnamon, which also helps balance blood sugar. Simply add everything to your Vitamix (or blender of choice) and give it a whirl until your hot chocolate is frothy and creamy and everything is combined. Voila! 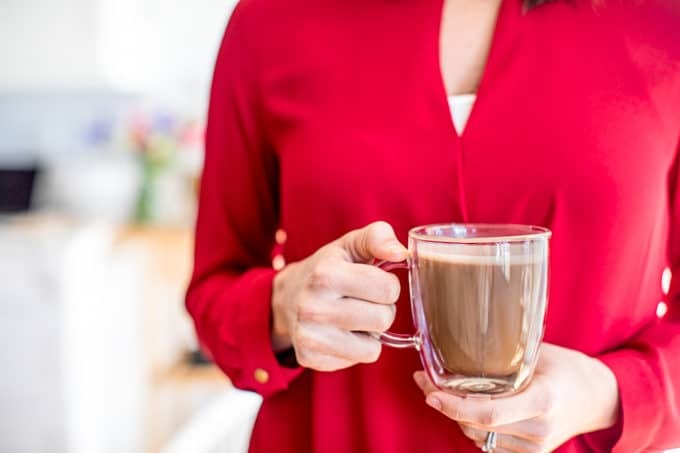 If you try this Keto Hot Chocolate Recipe, be sure to share a photo and tag me @rootandrevel on social media–I’d LOVE to see how it turned out for you! Looking for a Keto Hot Chocolate Recipe? How about one that's homemade, easy to make from a mix, dairy free, Paleo, refined sugar free, chockfull of superfoods, and yet extra thick and creamy and delicious? Healthy hot chocolate to the rescue! After you've microwaved the almond milk, simply add everything to your Vitamix (or blender of choice) and give it a whirl until your hot chocolate is frothy and creamy and everything is combined. I’m certainly learning a lot of new things. I didn’t think there was such a thing as a Keto chocolate recipe. What a great drink to enjoy in the afternoon. It really looks delicious – a good for you too. That’s a win-win. Aren’t win-wins great?! 😉 Yes, you can have cacao with keto – just make sure it’s high quality, ideally organic and only uses natural sweeteners. I’m so glad to hear that, Joyce! Yay. Would love to know how you like it once you make the recipe. Never heard of mushroom cacao mix but looks so good. 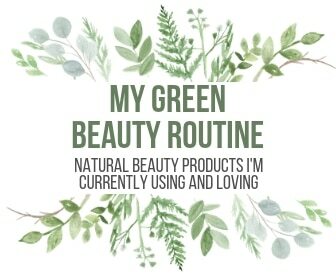 I will have to check this product soon. Like to experiment with new ingredients. Your photography looks so tasty and inviting. Chocolate ghee? Say WHAT? Oh my word, I want to make your hot chocolate recipe like, right now! Now I have to run out and find all of these ingredients. Especially the ghee! Woohoo! Right?! I was so excited to try the Cacao Ghee and it definitely didn’t disappoint. In fact, I’m slightly obsessed. LOL. I hope you love this recipe too, Elaine! Such a delicious mix of flavors and I love how it doesn’t have any refined sugar! Can this drink be my Valentine?! Seriously — it looks amazing, I can’t wait to make it! I like Four Sigmatic coffee but haven’t tried their Hot Cacao mix, and of course love all the other brands you used here too. So excited!